In this article, I will talk about different kinds of repairs with different iPhone models. Just like other computer devices, iPhones also go bad and repair is always needed. Apple was the first company in the world who introduced touch based iPhones. They started with their first Generation iPhone in 2007. It was a new idea. People liked it. Apple also felt the popularity and kept introducing model after models. 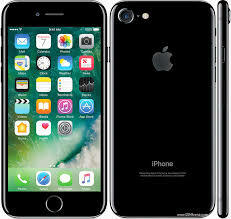 IPhone 10 is the last and latest at the moment. After 2g, 3g, iPhone 4, 6, 7, 8 and now iPhone X, the main question is what kinds of problems are most common with these devices and how hard it is to repair them? Before digging deeper let me express myself about Apple’s iPhones. In my personal opinion, they are the best devices I have ever seen. They are very productive in the sense that they can be used email servers (on the go) in addition to normal phone needs, although they are being used for many functions like taking pictures, storing music and videos and are being used for many other days to day operations. Overall they are the most hit devices in the market these days. With all these wonderful facts and features, they can also go bad. So the question is what can most probably go bad with them. Let’s jump to the fact. The most common and unstoppable is the screen damage. This happens due to physical damage although some times, it can be, wear and tear and other manufacture defects. It does not matter what model, it can happen to any model. Due to touch technology dependence on glass material, the screen is fragile and cannot resist against physical damage. No matter what model, screen can be replaced. Screen repair can be done at any iPhone repair shop. This needs professional experience to avoid further damage. Apple store also offers screen replacement service at their locations. The screen can be changed outside at private stores too. The screen is not just a one piece; it usually has few accessories attached to it like touch, front and back camera, microphone, home button, fingerprint module, earpiece and proximity sensor. There are many types of repair shops available, but it is highly recommended to always choose an experienced and Apple certified repair place outside Apple world. • The next problem is mostly liquid damage. People mostly take their iPhone with them everywhere. Whether it is school, work, vacations or travel, they take them everywhere because they are addicted to their iPhones. Taking pictures is the most popular activity in daily life. They even take their phones inside water. Wherever there is a human, there will be an iPhone or other phone and wherever there is a human, there is always food and liquids around them. Accidental spill in the form of water, coke, beer, tea, milk or moister and many other forms of liquid damage is very common. Liquid damage can damage one or more components of an iPhone. This can once again include the LCD or touch, charging port, front and back camera, battery, speakers, microphone, headphone jack and last but not the least, the logic board. All the data on an iPhone is stored on a flash memory integrated on to the logic board. When a logic board is damaged with liquid, the data is also lost unless a recovery attempt is made. Data recovery in such situations is possible. I have personally recovered iPhones that were totally dead due to water or liquid damage. There is always only one chance to recover from such damage. The phone has strong encryption and thus a proper attempt to recover it, is always needed. If you ever need to recover your liquid damage iPhone, you can contact liquid damage recovery specialists. Non functioning touch screen and no back light in the lCD are some other known problems with iPhone devices. If this happens, first check with Apple Store if it is covered in warranty otherwise, wisely choose a certified place to perform proper repair on your iPhone.